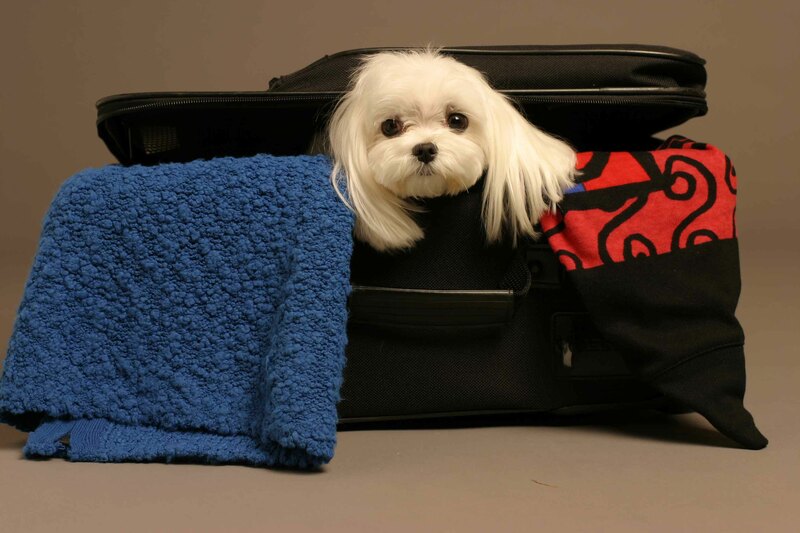 Book your stay today and you won't have to leave fluffy behind! Pets are always welcome at Cloverleaf Suites! Package includes - Keepsake pet bowl, freshly laundered pet bed for your stay, our pet fee as well as a little treat for your furry family member! 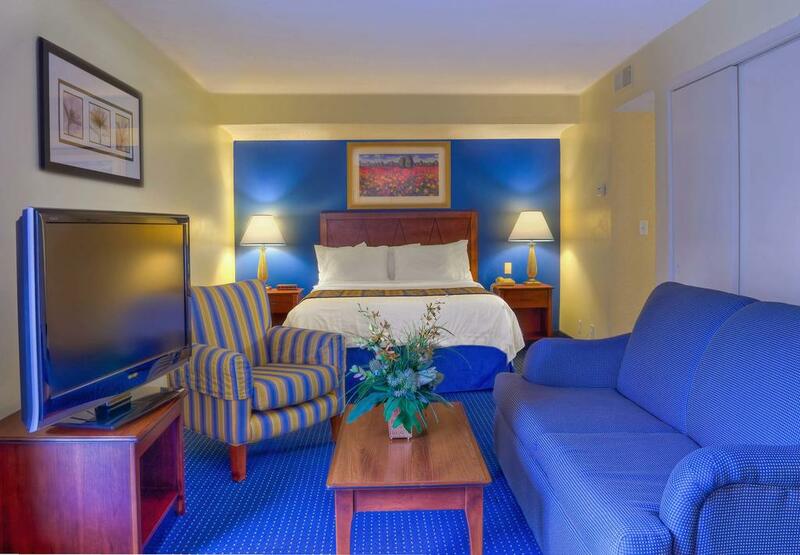 Of course, as always with Cloverleaf, the rate includes a hot breakfast, high-speed, wireless internet and self parking. We require a valid credit card to confirm your reservation. Guest will be required to abide by the property pet policy. For additional information on the pet policy, please contact the front desk. Relax in comfort with a plush queen bed, a spacious living area with a sleeper sofa, a well-equipped kitchen with full size appliances, dishes and utensils, a comfortable work area, and a flat screen television, all in an urban studio style layout. Enjoy the space to spread out! Designed for the working traveler, these rooms feature a king bed and bath in the loft, living room, kitchen, work area and another bath. Spread out and enjoy yourself! 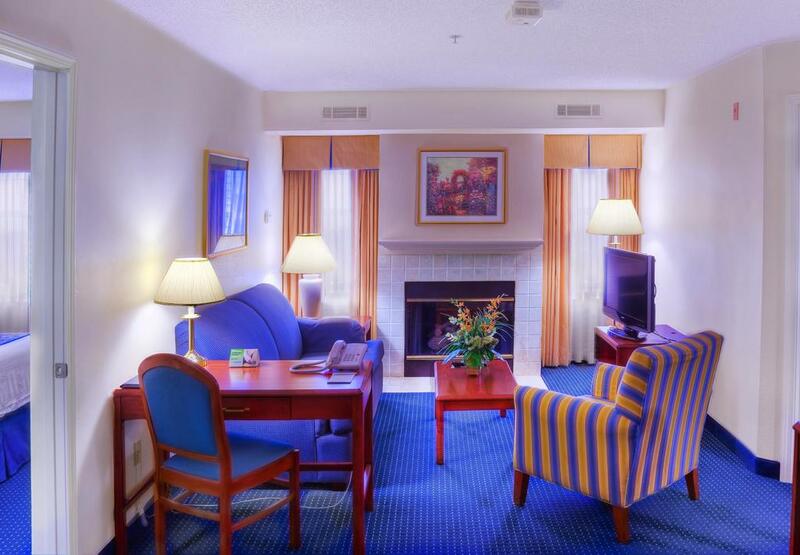 Families and groups love our two bedroom suites! 2 seperate, private bedrooms with plush queen beds and a full baths, a spacious living room, a fully equipped kitchen, a fireplace, and flat screen televisions. 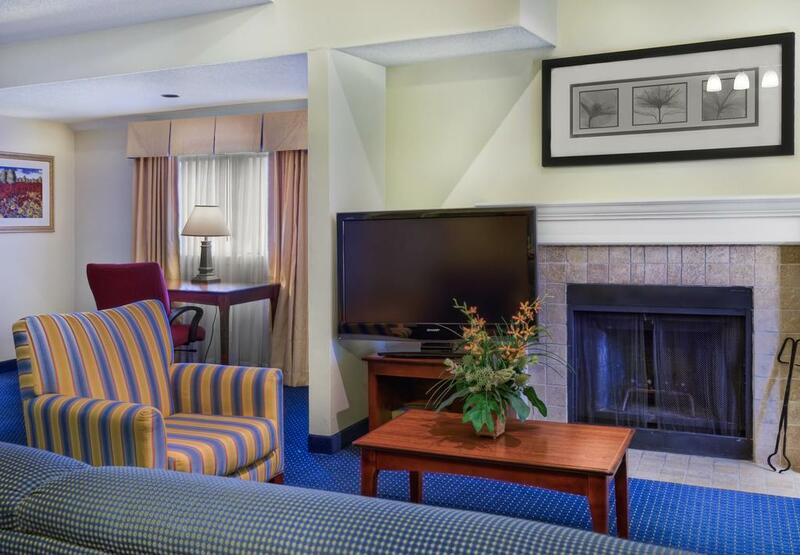 Families and groups love our two bedroom suites with two levels, a private bedroom with plush king bed, a loft with a king bed, two bathrooms, a spacious living room, a fully equipped kitchen, a fireplace, and flat screen televisions. NOTE: stairs are required for access. Our mobility and hearing accessible Studio Queen Suite provides lowered counters, an accessible tub, and grab bars. ADA kits available at check-in. If you would like further details regarding the room size and/or features of the accessible rooms, we encourage you to call the hotel and speak with a Guest Service Representative. Any corresponding photos may not reflect the specific accessible room type or room feature. Our mobility and hearing accessible one bedroom Queen Suite provides lowered counters, an accessible tub, and grab bars. ADA kits available at check-in. If you would like further details regarding the room size and/or features of the accessible rooms, we encourage you to call the hotel and speak with a Guest Service Representative. Any corresponding photos may not reflect the specific accessible room type or room feature. This suite also offers guests a Queen bed, full kitchen, and a separate living room. Pullout couch and fireplaces available in most rooms. Our mobility and hearing accessible Two-Bedroom Two-Queen Signature Suite provides lowered counters, a roll-in shower, and grab bars. ADA kits available at check-in. If you would like further details regarding the room size and/or features of the accessible rooms, we encourage you to call the hotel and speak with a Guest Service Representative. Any corresponding photos may not reflect the specific accessible room type or room feature. 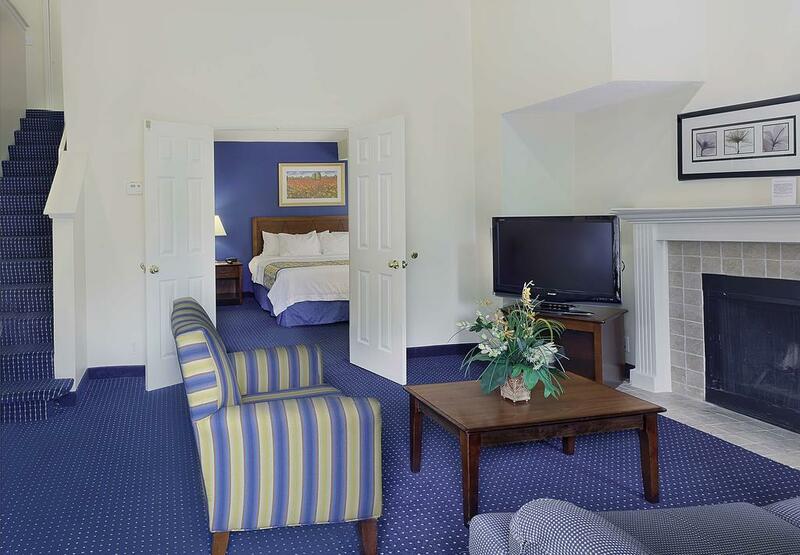 Families and groups love our two bedroom suites! 2 separate, private bedrooms with plush queen beds and a full baths, a spacious living room, a fully equipped kitchen, a fireplace, and flat screen televisions.